Thanks for agreeing to be part of my Blogger in the Spotlight feature, Anne. First of all, would you tell me a little about yourself? 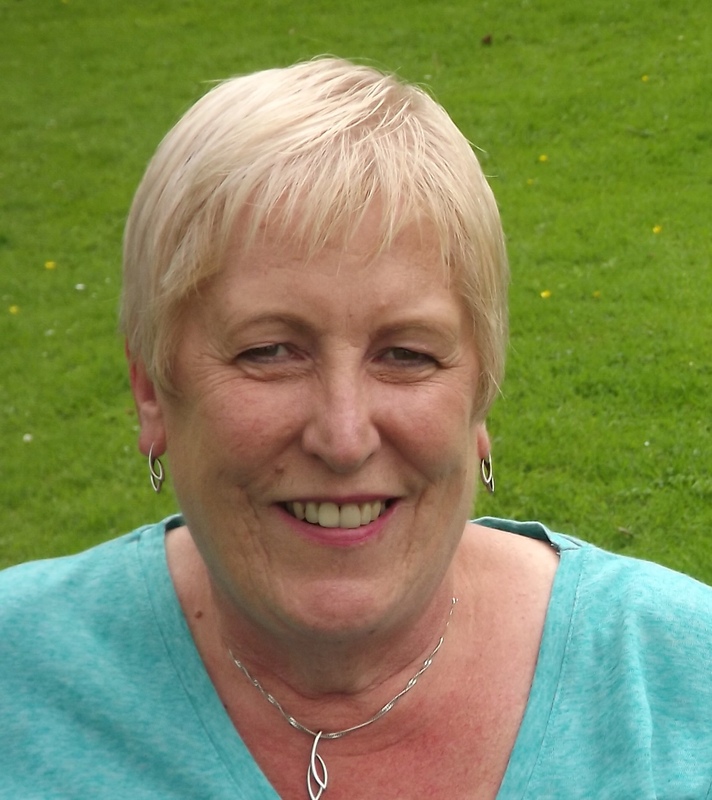 I’m Anne, and I live in the market town of Wetherby in West Yorkshire – but I’m Welsh by birth and yes, I do speak Welsh! I’m 60 next month (no, I can’t believe it either…) but I was lucky enough to be offered early retirement from my Civil Service job in March of last year and can now read as much as I like, whenever I like. I do love my holidays – in the last ten years I’ve travelled solo to both coasts of the USA, Canada, China, Peru, Cuba, South Africa, Thailand, Cambodia and Vietnam – as well as a few holidays in Goa with a friend. In October I’m off to Chile, Argentina and Brazil. I live on my own, and I’d love another cat (or two) – but my neighbour’s 22 year old cat, Wally, spends his afternoons on my lap while I read and he wouldn’t want to share me. I enjoy the theatre, always read while listening to music, enjoy the gym and just enjoy being sociable. It was a long, long time ago Joanne! I could read when I started school at 3, and although I fondly remember Enid Blyton’s Famous Five (i was always Anne, but so wanted to be George!) I moved on to adult books quite quickly. No such thing as YA in those days! I’ve written reviews for as long as I can remember – before the internet (yes, I really do go back that far!) I used to keep notebooks with my opinions on books I’d read. My blog’s been running for just over 2 years and was a logical progression really – I wanted to publish my reviews in one place and keep them together. Most definitely the community I’m part of. It’s a great privilege to be part of a group that’s so lovely, generous and supportive. In life, friends come and go – the friends I’ve made through blogging have endured, and are by far the most precious to me. The other thing I love is when anyone says they read my review, bought the book, and enjoyed it as much as I did – that’s why I blog. I’ve never been able to do this! I obviously review books, and when I do I promise I’ll never sell an author short. Authors always comment that my reviews are thoughtful and considered, and I’m rather proud of that. I do have a life outside reading and blogging, so I also like to feature books and authors when I just can’t manage to read the book in a reasonable timescale – and 99% of the time I’ll only feature books and authors I would want to read. When I run an interview, I always personalise the questions – which means, in many cases, I might have actually been quicker just reading the book! That’s not selling myself particularly well, I know – but it’s the best I can do! I’ll go for one rather than three, or I’ll be here all night! Letters To The Lost by Iona Grey. Why? Because it was perfect. See my review! I’m reading some books nominated for the Romantic Novel Association awards – I’m a reader for the Romantic Novel of the Year. So a bit hush hush, sorry! Kindle by preference, comfy chair in the afternoon (with next door’s cat), in bed at night (often into the early hours). My blog is Being Anne at www.beingannereading.blogspot.co.uk. I also have a Being Anne Facebook page at https://www.facebook.com/beingannereading. My Twitter name is @Williams13Anne, my Goodreads profile is https://www.goodreads.com/user/show/2464996-anne and I’m also on Instagram as anne.williams13. My email details can be found on Being Anne, as can my reviewing policy. I enjoyed reading the Famous Five when I was young. Wish I still had my childhood books. If Anne Williams says that her favourite read is Letters to the Lost then I’m off to buy it. I have utmost confidence in Anne’s recommendations.